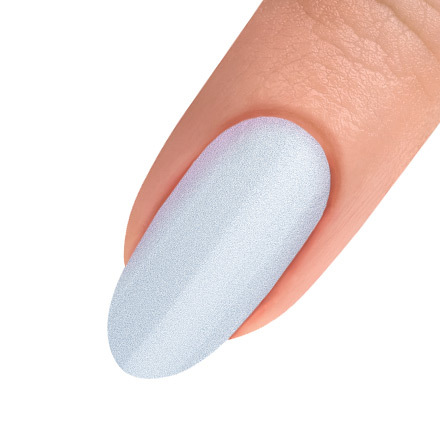 Apply a thin coat of WRAPPED IN SATIN onto the entire nail making sure to cap the free edge. Apply a second coat for full coverage. 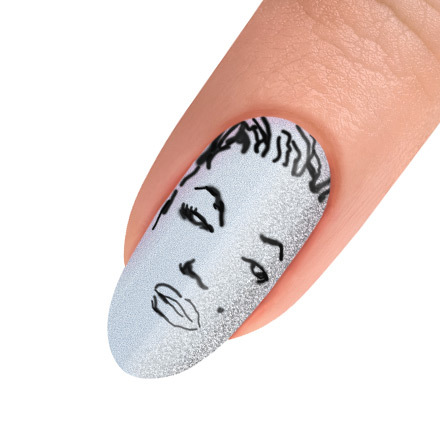 Apply a thin coat of DIAMONDS ARE MY BFF to half of the nail. 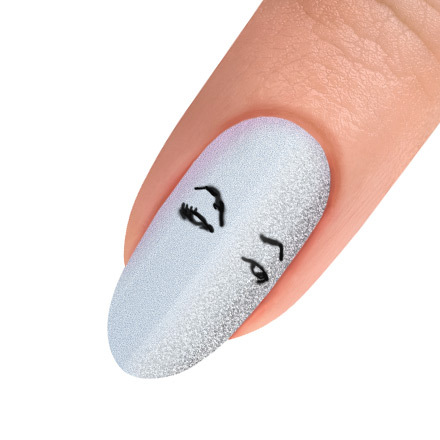 Using a MINI STRIPER BRUSH and BLACK SHADOW, begin painting eyebrows and eyes on the middle of the nail. Continue adding details to the face by painting lips, hair, nose, and a beauty mark by the lips. Finish painting additional details. 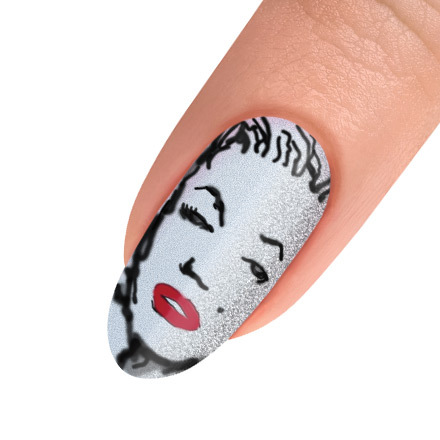 With A KISS FROM MARILYN and the Mini Striper Brush, fill in the lips. Finish with NEED FOR SPEED top coat.